Serving Tray for Fred. Bauernschmidt’s from The American Brewery out of Baltimore, MD. 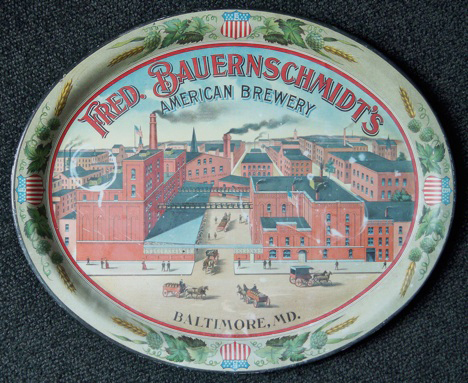 The center shows a depiction of the Brewery itself. Beautifully detailed beer tray. Union shields can be seen around the border surrounded by hops and barley.